Well, this has been a crazy week! 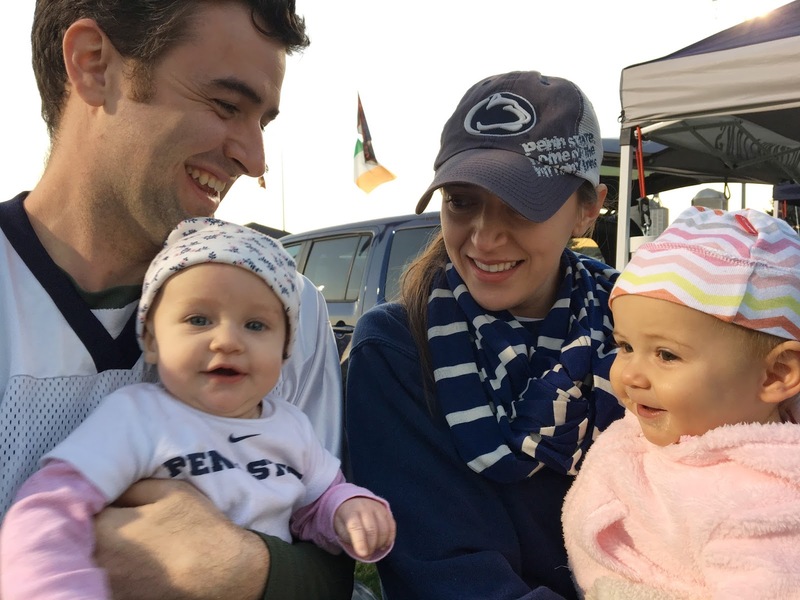 Last weekend, we drove to Penn State for Mae's first football tailgate. We left Friday morning and arrived in State College around dinner time after only 2 stops along our drive. Saturday we went to campus and tailgated with a bunch of Dan's friends from college. We could not have had more perfect football weather... sunny and just a bit chilly! 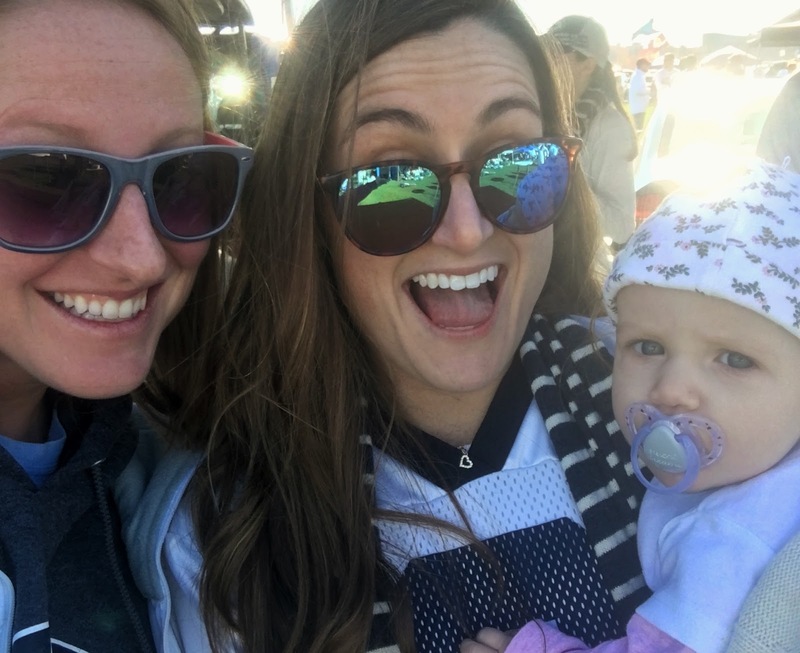 Colleen and her friend Kaela were also at the game tailgating with their friends. 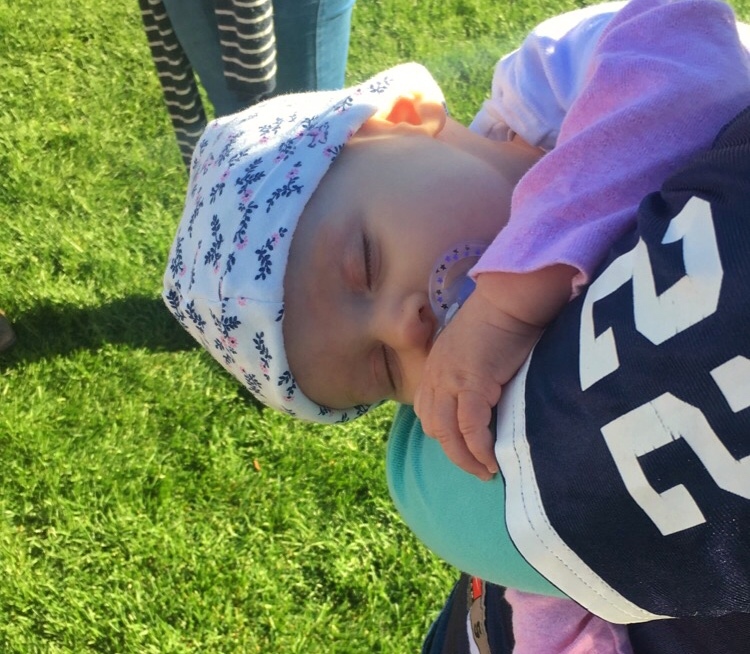 Aunt Colleen was super happy to get some quality time with Mae, and Mae loved the attention! Mae also had fun hanging out with CJ and Catherine's 11-month-old daughter Abby. She partied a little too hard and passed out in the afternoon. 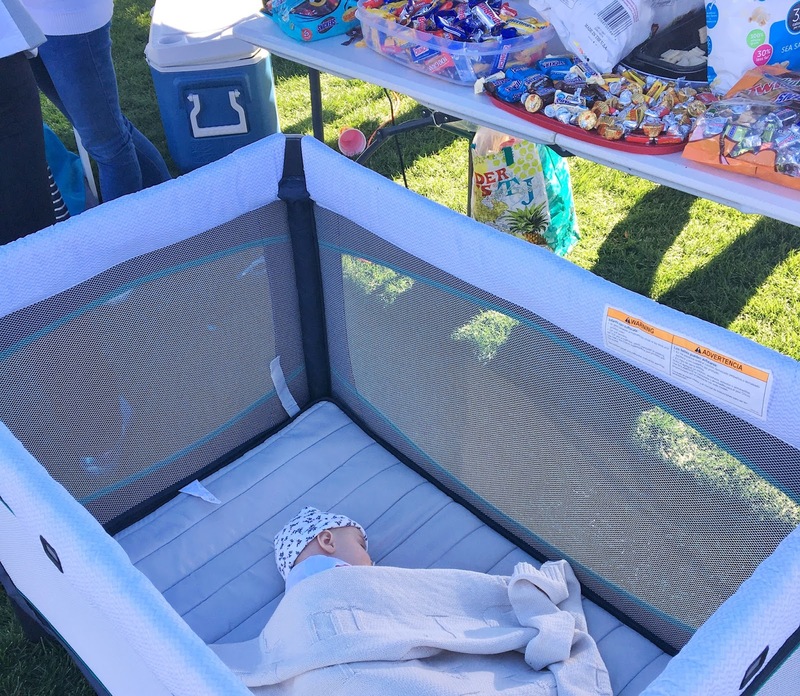 Good thing CJ and Catherine thought to bring a portable crib. The rest of this week has been pretty crazy. My social media accounts have been exploding with reactions, both good and bad, to Tuesday's election of Donald Trump as the next president of the United States. Every 4 years, half the country is elated and half the country is devastated by the election results. This year feels even more polarized than in the past. Then, on Thursday, Dan got in a pretty bad car accident. He's okay but very, very sore. 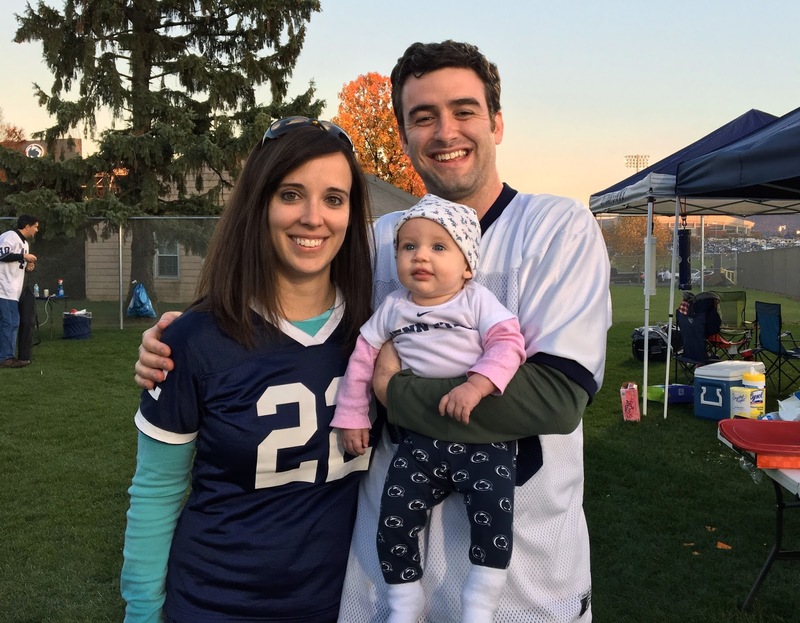 He had just dropped off Mae at day care (thank goodness) and was stopped at a light when a drunk driver plowed into the back of his car and caused a 6 vehicle accident. I got his call on my way into work, but had no idea how bad the accident was until I arrived at the scene. One woman had to be cut from her car, and a helicopter was just landing to transport her to the hospital. There were emergency vehicles everywhere, and the road was closed. After we left the scene, I took Dan to the emergency room to get x-rays (nothing was broken) and some prescriptions for the muscle soreness. We left the ER, picked up Mae from day care, and went home to rest and thank God that our little family was all okay. Any suggestions for what type of vehicle we should get? I have a feeling this little sedan is totaled. I've heard good things from other Subaru owners, too! We'all give them a look!